For those who may be interested, Prince William and Kate and their children from the UK will begin a visit to British Columbia and the Yukon a week this Saturday. As if in anticipation, the National Post — Conrad Black’s old last gasp of the colonized mind in Canada — has published some remarks by the self-confessed “romantic constitutional monarchist” John Fraser. 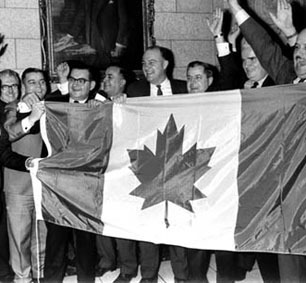 In a nutshell Mr. Fraser urges that the British monarchy is a key to resolving the place of First Nations in the 21st century Canadian future.
. MP s celebrate approval of new independent Canadian flag by a 163 to 78 vote in the Canadian House of Commons, December 15, 1964. 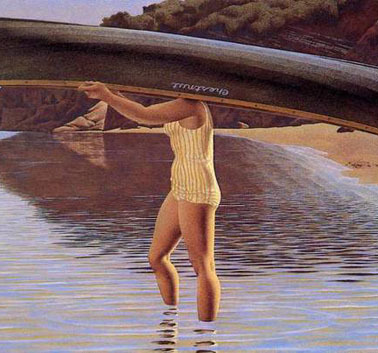 “Canada” itself is an aboriginal or indigenous word. And it is when what John Fraser calls “the non-aboriginal Canadian people” finally start to appreciate how the indigenous experience is a crucial part of being Canadian today, for everyone, that Fraser’s “healing” of “First Nation and Inuit communities,” now “broken in body and soul,” will begin in earnest at last. 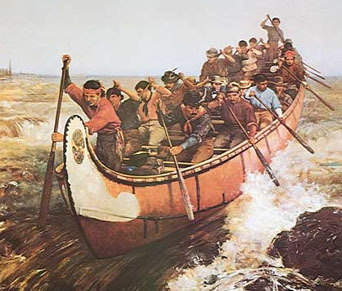 Canot de maître shooting the Rapids, Frances Anne Hopkins,1879. It was the multiracial and multicultural fur trade, not the British monarchy, that first took Canada from coast to coast to coast. This is a challenging assignment, no doubt. But we the Canadian people of 2016 — aboriginal and non-aboriginal alike — must face up to it openly, if First Nations are ever going to secure their just and proper place in the real-world Canadian future. To suggest we can continue to evade the all-too-human difficulties by simply asserting the British monarchy is “the only actual instrument of governance in Canada” that can unite aboriginal and non-aboriginal Canadians is a romantic cruel illusion at best. 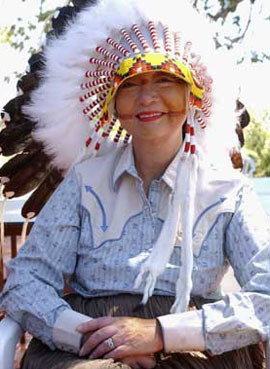 Governor General Adrienne Clarkson, 1999–2005. 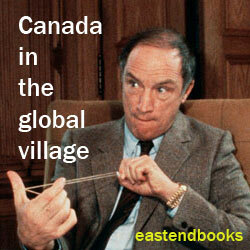 In any case, what Mr. Fraser’s argument finally reminds us is that it is high time for another installment of Randall White’s work-in-progress, tentatively entitled Children of the Global Village — Canada in the 21st Century : Tales about the history that matters. 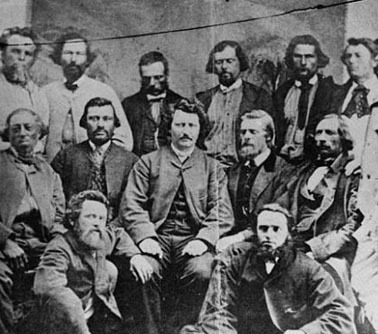 Louis Riel (centre) and his spring and summer 1870 provisional government of the future Canadian province of Manitoba.